Updated 8/21, to include reflections and presentations at the end. 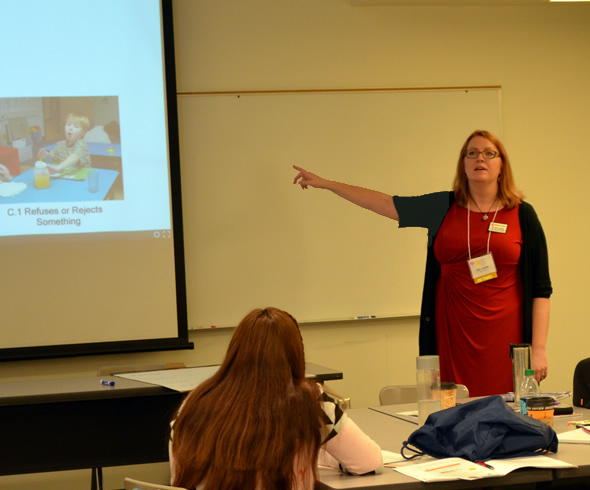 For the second year in a row, The Research Institute at Western Oregon University was proud to partner with the College of Education to host the Early Childhood Inclusion Summer Institute, August 12 - 14. This three-day event brings together families, preservice and practicing teachers, as well as service providers from around the state to join in the conversation - Let’s Talk: Early Childhood Inclusion in Oregon. Joining presenters from around the Northwest, seven TRI staff members offered six exciting workshops that ranged from strategies that support executive function, to exploring a variety of iPad apps and assistive technologies used in inclusive settings, to introducing Oregon early childhood educators to the Communication Matrix, used across the country to support individuals with complex communication needs. Here is a sampling of the presentations, and comments from TRI staff. 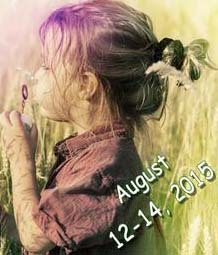 Below are Patti Blasco's reflections on the Summer Institute. When she talks about the "scholars" she is referring to the group of people participating the Project PIECE - Promoting Inclusion in Early Childhood Educators. 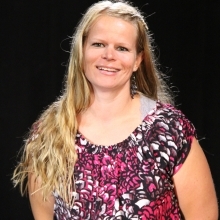 Project PIECE is supported by a five-year grant to provide training and mentoring supports to under-represented early childhood educators to receive an initial teaching license resulting in a Bachelor's degree with an endorsement in early intervention/early childhood special education added at the graduate level. "We are so very proud of the scholars who volunteered at the 2nd Annual Early Childhood Inclusion Summer Institute. Scholars were active in helping with all aspects of the institute. They also prepared materials and packed participant packets leading up to the first day. They were seen everywhere to help with registration, answer a question, help a presenter and overall offer a positive greeting to conference goers. "This was a record year in attendance and, as their faculty, Dr. Cindy Ryan and I appreciated the scholars' willingness to show professionalism throughout. "Several scholars also presented this year: Brenda Martinez (1st year cohort) presented with me on Appropriate Use of Technology in Early Childhood. Irene Castaneda (1st year cohort) presented with Project PIECE selection committee member Marie Laine on Co-Teaching Your Way to an Inclusive Classroom. "Along with these presentations, a group of Project PIECE scholars participated in a panel discussion to reflect on the experience in a blended Early Childhood Education program: Brenda Martinez, Elsa Andrade Hernandez, Bethany Fussell, & MaryJo Araya." 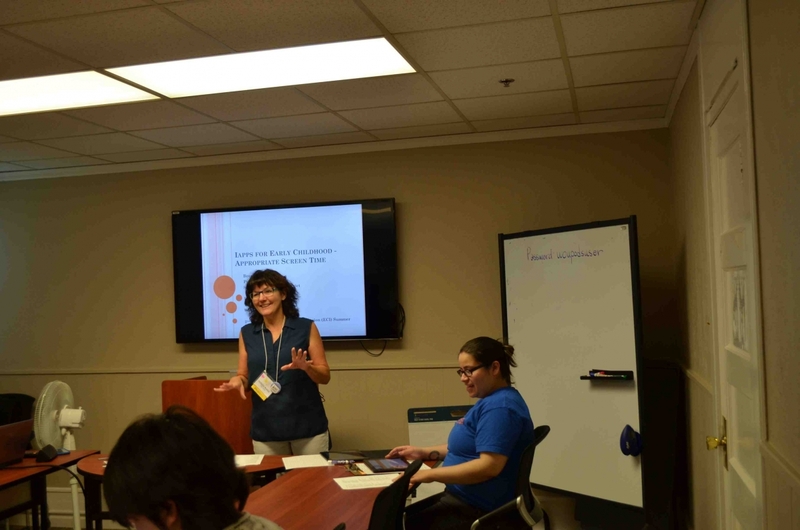 "The two sessions were well attended with participants representing Head Start, center-based and home-based staff and providers, as well as special education professionals. Participants had multiple opportunities to share their experiences on the session topics including the positive things they are doing in their programs and the challenges they are facing." 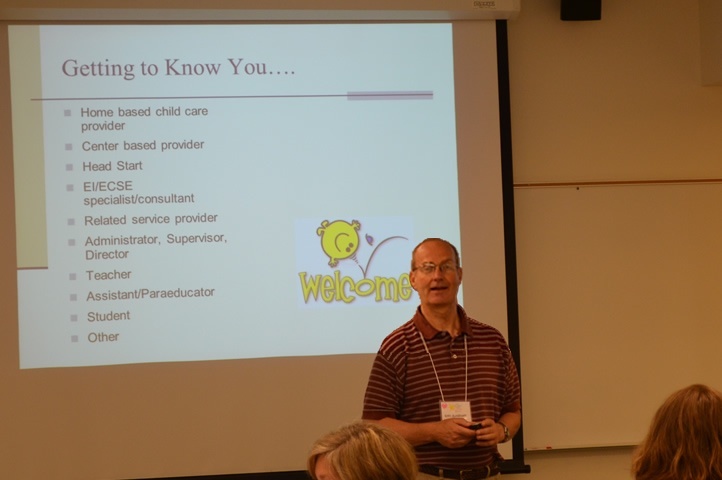 "It was so much fun to be with wonderful early childhood educators at the Early Childhood Inclusion Summer Institute at Western Oregon University and present on the Matrix. Several Head Start teachers, teaching assistants and family educators attended." A prezi was shared, which you can view here. "But even more meaningful was, at the request of the audience, we go through the Matrix using information on a specific child with Rett's Syndrome. We used the "try it now" feature on communicationmatrix.org and talked our way through so that the participants could see how easy it is to use the tool and to get results that can be embedded into Individual Family Service Plans (IFSP) or Individual Education Plans (IEP)." 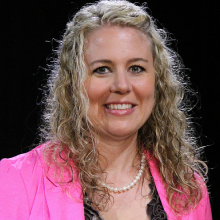 Amber's reflections: "The workshop was well attended by Early Childhood Professionals who were deeply engaged in collaborative groups exploring strategies and resources to support one another, students, and parents of children with sensory needs. Participants were motivated and inspired by the video from the perspective of a child with sensory needs."